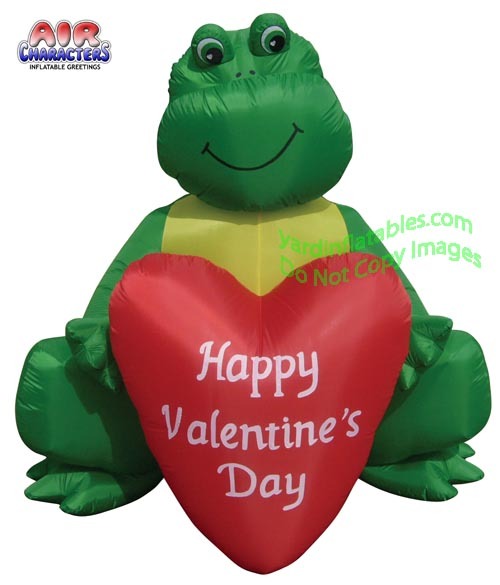 Valentine's Day Frog Holding a Heart that says "Happy Valentine's Day"
Blows up in minutes with an external HIGH QUALITY, very durable, reliable and interchangeable Fan. Easy assembly! This inflatable is made of lightweight durable nylon. Includes light bulbs for a Glowing Nighttime Display. 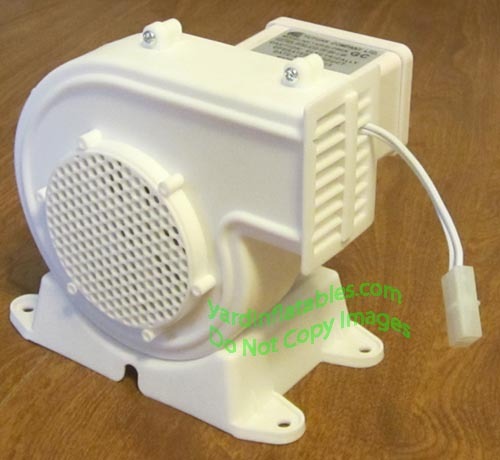 This Air Blown Inflatable Yard Decoration comes with fan, lights, yard stakes, and tether/ ropes.